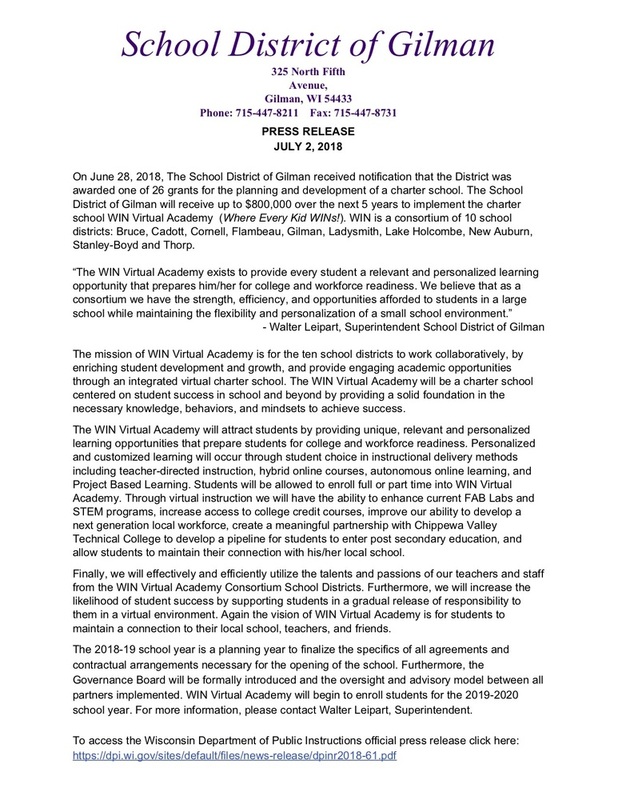 The Gilman School District has been awarded an $800,000 grant from the Wisconsin Department of Public Instruction to develop and implement WIN Virtual Academy. The 2018-19 school year is a planning year and the school will accept enrollment of students during the 2019-2020 school year. Copyright © Gilman School District 2019. All rights reserved.